What does "loan serviceability" mean? How is it calculated? Home / Articles / What does “loan serviceability” mean? How is it calculated? What does “loan serviceability” mean? How is it calculated? Serviceability is one of the key things a lender will assess before they approve a loan, but what is it? And how is it calculated? Here’s some insight into how loan serviceability is determined and why your choice of lender can dramatically impact your capacity to service a loan (and therefore secure the funds you need to buy the home you want). Lenders base this assessment on a number of factors, including your income, the loan amount, and other commitments or extra expenses. The bank uses these factors to calculate a debt service ratio (DSR). Put simply, the DSR is the percentage of your monthly income expected to be spent on debt expenses. For a loan to service on paper, the DSR has to be below a specific number (and it can vary between lenders). Of course, the borrower’s standard salary is considered here. But also taken into account are things like overtime, commission payments, and even company cars. Here’s where things start to get complicated. You see, for nurses and the emergency services, a lender will generally allow overtime payments to be included as salary for the purposes of serviceability calculations. But for other professions (or where overtime payments are more infrequent), often only a proportion of overtime can be included. There are also restrictions around using income from a second job (i.e. you need to have been receiving this income for a period of time before it can be included in serviceability calculations). And for investment properties, lenders will generally only consider a portion of the rental income you receive, providing a buffer for any vacancy periods you may experience. Lenders may also take into account Centrelink benefits like the Family Tax Benefit, providing your children meet specific age requirements. Each lender has their own approach when determining how much of your income they’ll allow for serviceability calculations. Some are tighter than others when it comes to considering maternity leave income, overtime payments, company vehicle or other allowances, meaning your serviceability – and how much you can borrow – is heavily dependent on your choice of lender. You may have already done some calculations and based on the advertised interest rate, you’re confident you can meet the proposed repayments on a new home loan. But there’s a little bit more to it. In addition to potentially leaving out some of your income in the serviceability assessment (as we’ve just mentioned), lenders calculate repayments by adding a margin of 2.5% or more to the variable rate. This is known as an ‘assessment rate’. It’s used to predict whether you would be able to meet repayments if (when) interest rates rise. So whilst you won’t be actually making these higher repayments if you’re approved for the loan, you need to be able to prove you have the capacity to make higher repayments should interest rates rise. Unfortunately, this – as well as credit card debt, student loans, car loans and the number of children or dependents living in your home – can negatively affect loan serviceability and make it much harder to get the finance you want. 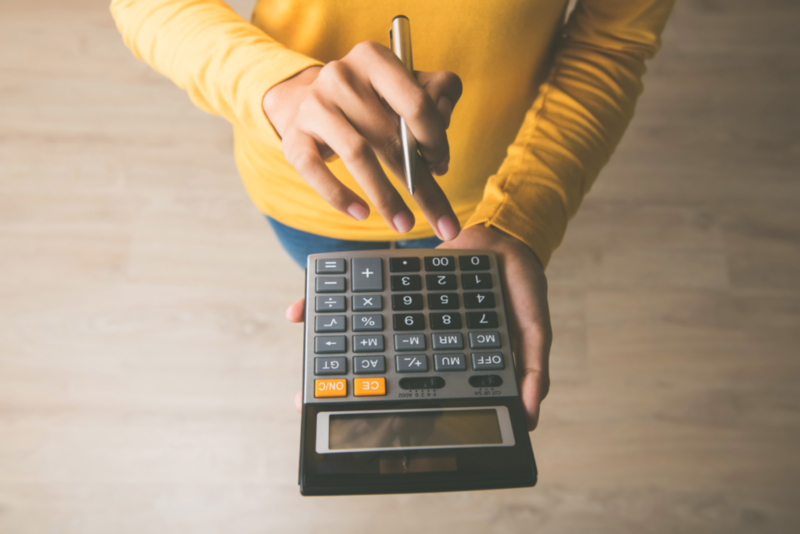 Before you accept the first loan offered to you by your existing bank, make sure serviceability calculations work in your favour and you’re actually selecting the lender that is right for you.